I have been a member of the National Trust for many years. 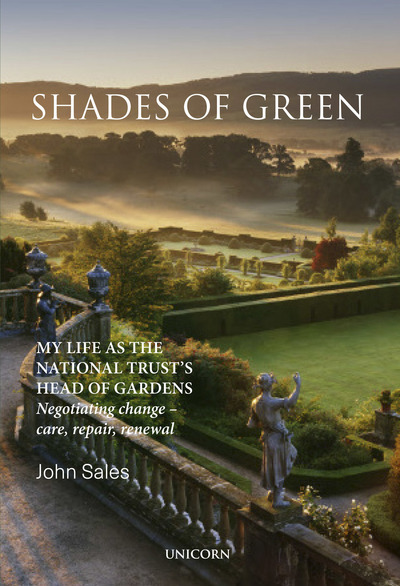 When I saw this book from John Sales, who was Head of Gardens at the National Trust until 1998, I asked if I could review it as it looked fascinating. I have not paid for this book, but my words and opinions are my own. John began working with the National Trust in 1971, the nearly thirty years he was with the Trust paralleled the huge change in how we visit these properties and what we want to do when we go. This makes this book an important document of these decades. The book is very much John's perspective on this period and after a brief biography of his life before the National Trust, we are soon taken into his experiences when he first started as Graham Thomas's assistant. Quite quickly we are learning about the conflicting views within the Trust about how gardens and landscapes should be maintained/restored. A question of resources is always paramount, the tensions of how to do a good job with often very little and rarely enough. A key resource that John recognises is the work of the gardeners at the various properties the National Trust owns. John talks about how he tried to help gardeners being pulled into doing non-gardening non-skilled work; and how they could be diverted to do general tasks which would always be at the expense of gardening time. 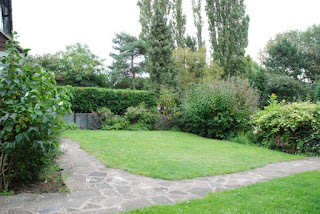 Lack of time to garden could lead to a decline in standards, something John aimed to prevent. 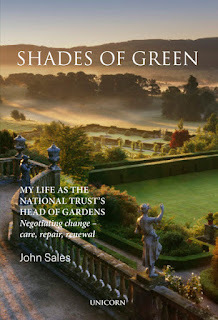 This is not a book cataloguing how the National Trust gardens, this is about the strategies and development of policies that guide the National Trust's ownership of some of our most important and famous gardens and the resulting stories of the gardens' development. John uses fifty properties in the book to tell his narrative. There are fascinating before, during and after photographs and the stories woven around them give us the history of the properties and the history of how the National Trust aimed to learn, restore and preserve precious historic gardens and landscapes. The book reveals John's perspective on what garden visiting should be about. 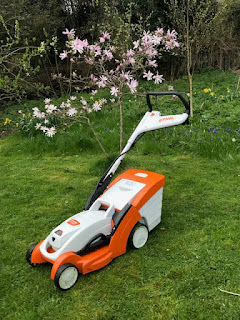 John believes that gardens should be discovered without distractions such as signs and the 'corporate stamp' of the owners be they National Trust or someone else. It is worthwhile remembering at this point that John left the National Trust in 1998. The book is a very enjoyable read. It is quite dense text and in some ways laid out in quite an old fashioned text book style. This however does not mean it is not a good read. I loved reading about gardens that I knew and gardens that I do not know but now I am very keen to visit. In particular learning about the behind the scenes stories makes this book rather special. If you are interested in the National Trust then you will like this book. If you are interested in garden history and garden restoration and conservation then you will also like this book. It is a snapshot of a crucial time in our recent history of the developing love of garden design, garden development and garden visiting. I can very happily recommend it.